Before you listen to the interview with Ultrarunner, Coach, 100 Mile American Record Holder, and 12 Hour World Record Holder, Zach Bitter, Rob and Devon had another special guest on the podcast this week. CEO and owner of the Los Angeles StrengthRx CrossFit Gym, Justin Schollard, discussed with Rob and Devon about what to do when the big gym rush happens in January when the New Year Big Gym Rush happens across nation. 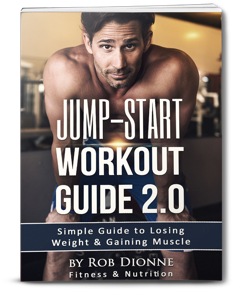 Whether you’re a veteran gym goer or you’re just starting to go the gym, you may find the gyms to be over-crowded, a bit chaotic, and unsure of what to do in some situations. Read on to learn how we can all make the gym a great place to be for everyone. You might feel intimated or uncomfortable when you start going to a gym. You’re not sure how to use the equipment, people are lifting heavier weights or are faster at you on a cardio machine, you don’t know what to focus on etc. The best way to get comfortable at the gym, is to meet new people. Join a class that interests you such as dance, cycling, or HIIT for example. That way, you get to know other members and trainers at the gym right away. At CrossFit gyms such as Strength Rx, you can automatically sign up to join small classes with only 12-20 people per session. That way, compared to joining a 24 hour gym where you’re all on your own, you have the chance to get to know others and belong to a community of people with similar goals. If you are a veteran gym member, try to go out of you way to talk to new members. Even a simple ‘hello’ or smile will help people to feel welcome at the gym. A lot of people tend to wander aimlessly from one machine to the next without a real plan for the hour that they’re at the gym. Instead of going to the gym with no idea what you’re going to do, create a plan for yourself. Decide how many minutes of cardio you will do, if today is leg or arm day, how many reps you will do for each set etc. If you know exactly what you’re going to do for your workout, you’ll feel focused and confident. Even if you decide you’re going to the gym to walk on the treadmill rather than your neighborhood, you still have a plan and it will help you become more familiar with your new gym. Gym Etiquette 101- To Cycle In or Not to Cycle In? Should you ask to cycle in or wait for someone to be done at a machine? Try to cycle in! You can easily make a new friend or workout buddy at the gym by cycling in with another person. It can be intimidating, but people are usually very friendly and will let you cycle in if you ask politely. If somebody is lifting way more than you, like 2-3 plates at the dead-lift for example, it’s best to let them finish their set and use the equipment when they’re done. Ever wondered what it was like to be and race as an Ultrarunner? This week, Rob interviewed Ultrarunner, Coach, 100 Mile American Record Holder, and 12 Hour World Record Holder, Zach Bitter. 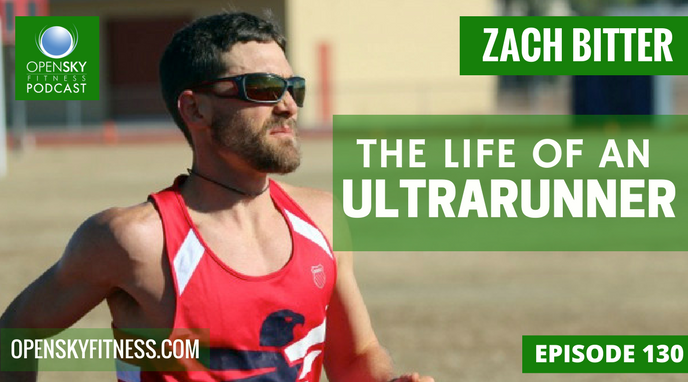 Find out how Zach got his start as an Ultrarunner, how to become fat-adaptive, and how Zach trains to compete in 100 mile races. You don’t have to go all out to build your body and get faster. If you stay at a comfortable, elevated heart rate, you can easily get into the fitness zone every time you work out. To discover your fitness zone, simply subtract your age from 180. For example, if you’re 40, you’re fitness zone heart rate is 180. If you find yourself sprinting to stay at the heart rate or feel like you’re just walking, tweak your speed until you find the heart rate that allows you to get a good workout in, but challenges you at the same time. Zach’s advice for training and competing in a 100 Mile Ultra Marathon is to have a good time, but to also be prepared for it. To train for competing in a 100 mile race, you need to design a training program that focuses on the race profile. How elevated is the land? Will you run on flat ground, up hill, or down hill? What is the terrain like? Will you be in the woods, a desert, a field? Create a program that helps you to improve specific skills that will be necessary for your race. For example, Zach finds it difficult to run down hill so he’ll train specifically to help his body prepare for running under that type of condition. Have a good time and enjoy the process. If you stress too much or go out to hard in practice or the race, it can be a recipe for an injury. Zach uses cross training as a means to help him strengthen any of his body’s weak areas that need to be addressed such as the posterior chain. How do you get fat adapted? We’ve been told for decades that fat is bad for us, so it can be strange for a person who has avoided fat for most of their life to suddenly begin to start eating it more often. According to Zach, it can take a 2-4 week period to become fat-adapted. During this time, it’s best not to not stress out about your training. Take advantage of this time to focus on having a combined fitness and nutrition goal to re-program your body’s recognition of fuel. When you follow a fat-adaptive nutrition guideline, you are convincing your body that it’s main fuel is fat, not carbohydrates. When you transition to being fat-adaptive, you don’t have to stop workout out completely, but be honest with yourself. Go easy on yourself because you’re body is going through a lot of stress by focusing on eating fats rather than carbs. Your body has to adapt to eating fat and adding exercise can put your stress too high. You’ll notice your body changing when you feel tired and grumpy as you experience the “keto flu.” After the switch, you’ll feel a lot more energetic. 14:40 What equipment to use when you’re a beginner and how to do a super set. 17:00 When should you go to the gym? 27:40 What does it take to train for an ultra run? 30:45 What do you do to keep your heart rate down? 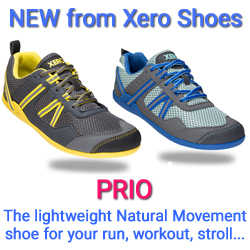 Do you do interval training or sprints? 34:00 Find a comfortable heart rate zone for you. 35:15 What is the approximate heart rate for runners who can run 4 minute miles in a marathon? 36:25 What training do you do for an ultra marathon? 39:00 How do you train by running on just a track? 44:00 What’s your mental focus for ultra marathons? 47:20 Do you including any cross-training when you’re preparing for ultra marathons? Is there a standard ratio of endurance vs strength that’s relative to your goals? 51:00 What does your programming look like during the week? 59:20 What does ‘fat-adaptive’ mean? 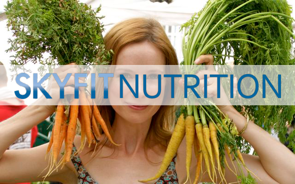 1:02:20 What does your nutrition look like each day? 1:11:10 How does your digestion affect your training? The importance of food for your training and performance. 1:16:30 How does one transition from getting energy from fats rather than carbs? How can a person do that when they’re a distance runner? 1:25:00 What does a typical pre-race and post-race meal look like for you? How many carbs do you eat on a daily basis vs an event day? 1:35:30 Contact Zach to be your running coach! Learn more about the MINDBODY App to help your members reserve a spot in a gym class! Thanks for listening/reading Episode 130- Zach Bitter: Life of an Ultrarunner! We hope you have gained more knowledge on how to be a healthier you!